The third annual conference will be held November 20th and 21st, 2016, at Lipscomb University. A Kickoff Party and an Advanced JS Foundations Workshop are also planned. 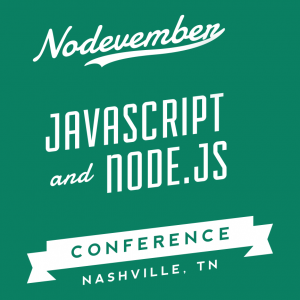 This year’s conference features a comprehensive roster of speakers, including keynotes by Lee Byron of Facebook, CJ Silverio of npm, Richard Roger of nearForm, Preethi Kasireddy of Coinbase, Guillermo Rauch of ZEIT, and Aria Stewart of npm. Tickets are only $350 through October 31. For a limited time, save $100 per ticket. Thank you to these organizations who have supported one or more events and/or groups in the past year! Learn how you can join these sponsors, starting at just $100.